SS Fasteners, ASTM A193 SS Hex Bolt, SS Stud Bolt High Tensile Fasteners, SS Bolts, Stainless Steel Nuts Supplier in India, SS Washer Exporter. Asiad Steels is one of the known manufacturers of SS Fasteners, which are highly acclaimed for dimensional accuracies and long service life. Today, every industry, every sector is developing at a rocket speed and the demand of better machines, which could last longer than ever before, is also on a high demand. In such environments the stainless steel fasteners manufactured are of greatest grade. Owing to a long-term destination for our business, we are involved in providing a wide gamut of these fasteners. The raw material for the entire product range is procured from authentic experts who work as per the set industrial specifications. We offer the same in different grades such as Stainless Steel 304 / 304H / 304L Fasteners, Stainless Steel 310s & 310H Fasteners, Stainless Steel 316 / 316H / 316L / 316Ti Fasteners, Stainless Steel 317/317L Fasteners, Stainless Steel 321/321H Fasteners, and Stainless Steel 347/347H Fasteners. 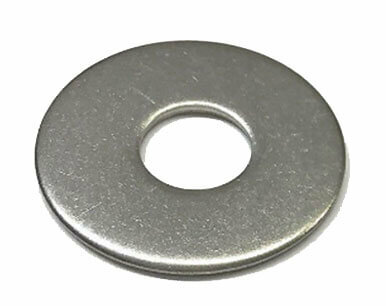 We also offer these in different types such as Stainless Steel Nuts, Stainless Steel Bolts, Stainless Steel Washers, and Stainless Steel Stud Bolt. Our vast industry experience of manufacturing, supplying and exporting has enabled us to offer a wide gamut of SS Fasteners that is used in heat exchangers, instrumentation and so forth. These are also being used in for critical applications in hostile environments. Whether for offshore (buoyancy and petrochemical), seawater, pump, valve or nuclear, the demands for an exceptional service and supply is never ending. 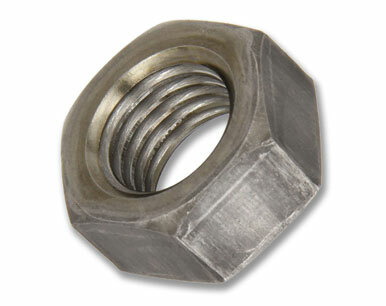 We offer a wide gamut of these fasteners that is available in different sizes and dimensions. 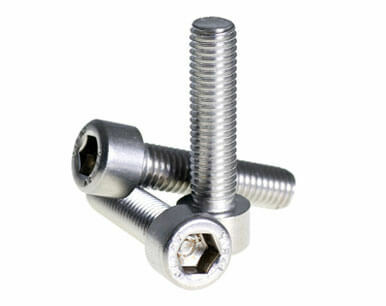 Buy SS Fasteners in leading market price from us. Stainless Steel DIN 975 Stud Bolts, SS DIN 935 Nuts Stockist, Stainless Steel Threaded Rod, Steel Fasteners, SS Washers Manufacturer in Mumbai, India. We are Exporter of Stainless Steel Fasteners in Worldwide Such as India, Peru, India, Iran, Puerto Rico, Ukraine, Kuwait, Qatar, Bolivia, Iraq, New Zealand, Libya, Austria, Denmark, Namibia, Afghanistan, Lithuania, Finland, Egypt, Nigeria, Netherlands, Poland, Singapore, Venezuela, France, Turkey, Hungary, Serbia, Nigeria, Philippines, Malaysia, Pakistan, Taiwan, South Africa, Zimbabwe, Bhutan, Portugal, Kenya, Mexico, Germany, Ireland, Chile, Croatia, Russia, Brazil, South Korea, China, Yemen, Angola, Costa Rica, United States, Slovakia, Canada, Gabon, Macau, Chile, Trinidad & Tobago,Tunisia, Hong Kong, Gambia, Bulgaria, United Arab Emirates, Kazakhstan, Argentina, Saudi Arabia, Italy, Morocco, Nepal, Ghana, Mongolia, Jordan, Romania, Ecuador, Greece, Belarus, Oman, Switzerland, Azerbaijan, Thailand, Sri Lanka, United Kingdom, Japan, Norway, Iran, Spain, Australia, Mexico, Israel, Lebanon, Indonesia, Bangladesh, Belgium, Colombia, Tibet, Sweden, Estonia, Vietnam, Bahrain, Poland, Czech Republic, Algeria. We are Suppliers of SS Fasteners in India Such as Mumbai, Courbevoie, Faridabad, Chiyoda, Bangkok, Perth, Sharjah, Ahvaz, Ankara, Nashik, Petaling Jaya, Rajkot, Jakarta, Seoul, Al Khobar, Madrid, Calgary, Santiago, Lahore, Cairo, Gurgaon, Noida, Surat, Visakhapatnam, Navi Mumbai, Brisbane, Lagos, Karachi, Port-of-Spain, Thane, Houston, New Delhi, Ho Chi Minh City, Kolkata, Ernakulam, La Victoria, Dubai, Abu Dhabi, Melbourne, Sydney, Caracas, Doha, Vung Tau, Dammam, Kuala Lumpur, Geoje-si, Ludhiana, Secunderabad, Hong Kong, Mumbai, Milan, Bogota, Indore, Montreal, Toronto, Vadodara, Hyderabad, Nagpur, Thiruvananthapuram, Coimbatore, Kuwait City, Manama, Los Angeles, Pune, Bengaluru, Dallas, Mexico City, Kanpur, Jaipur, Aberdeen, Jamshedpur, Bhopal, Jeddah, Hanoi, Riyadh, Baroda, Chennai, Ahmedabad, Ranchi, Algiers, Moscow, Granada, Busan, New York, Rio de Janeiro, Singapore, Edmonton, Al Jubail, London, Chandigarh, Colombo, Howrah, Ulsan, Atyrau, Pimpri-Chinchwad, Muscat, Tehran, Haryana, Istanbul, Gimhae-si.